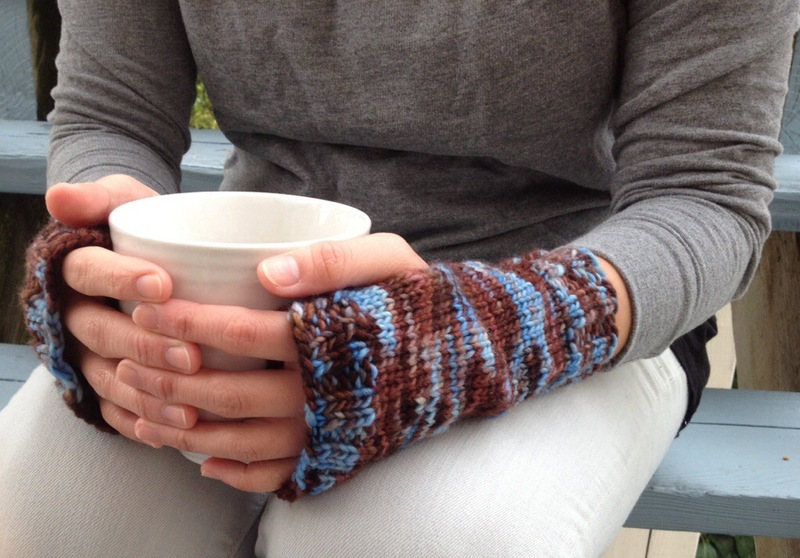 I’ve been making fingerless mitts for my Etsy shop with my leftovers from all the hat-making. Finally got around to writing down the pattern. 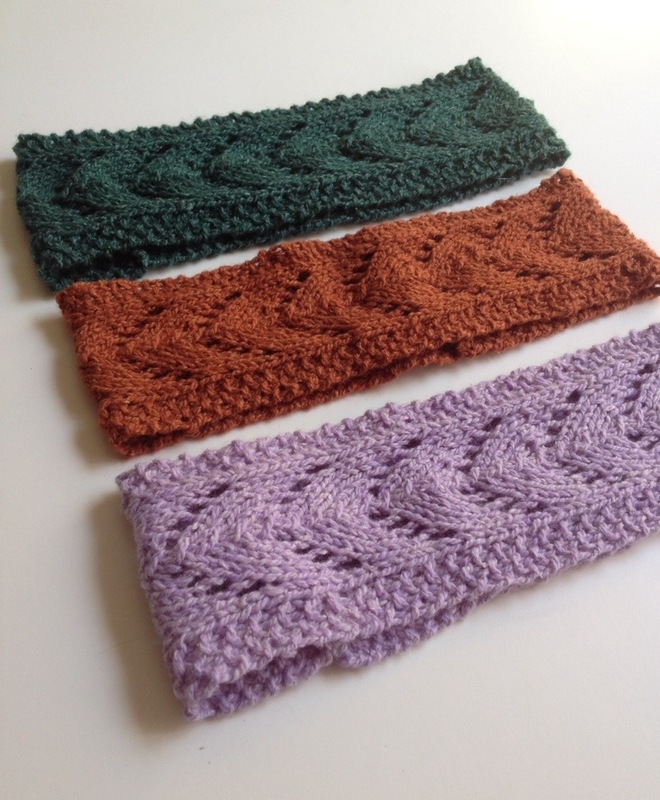 Here are two quick versions, one knit flat, and the other in the round. 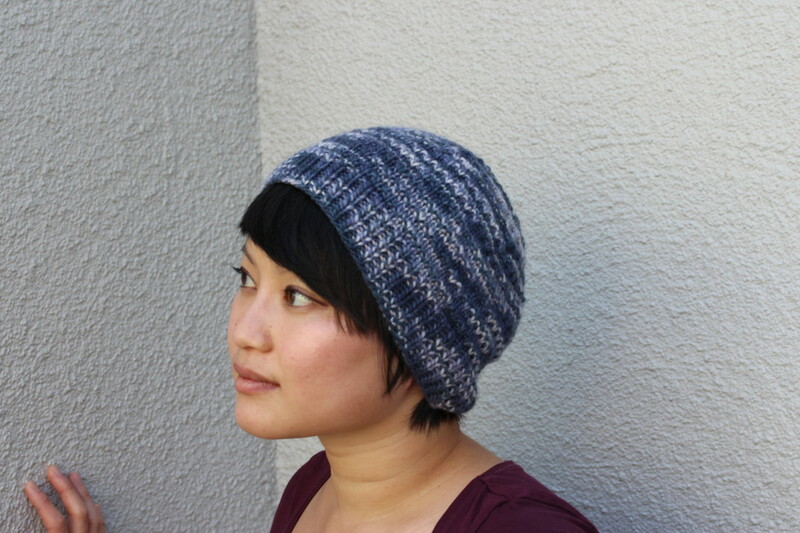 It’s all “Well duh” knitting for an experienced knitter, but hey, never hurts to have a pattern, right? Enjoy! Dimensions: Pink/Flat: 3 1/2 inches wide and 4 3/4 inches tall. 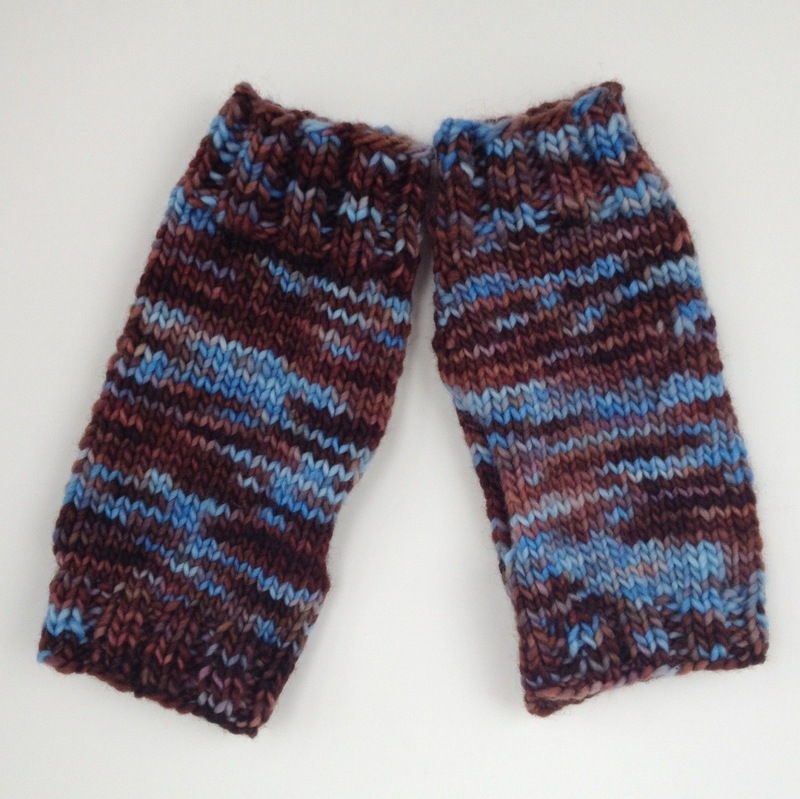 Brown + Blue: 3 1/2 inches wide and 7 inches tall. Knit in K2, P2 ribbing for 5 rows. 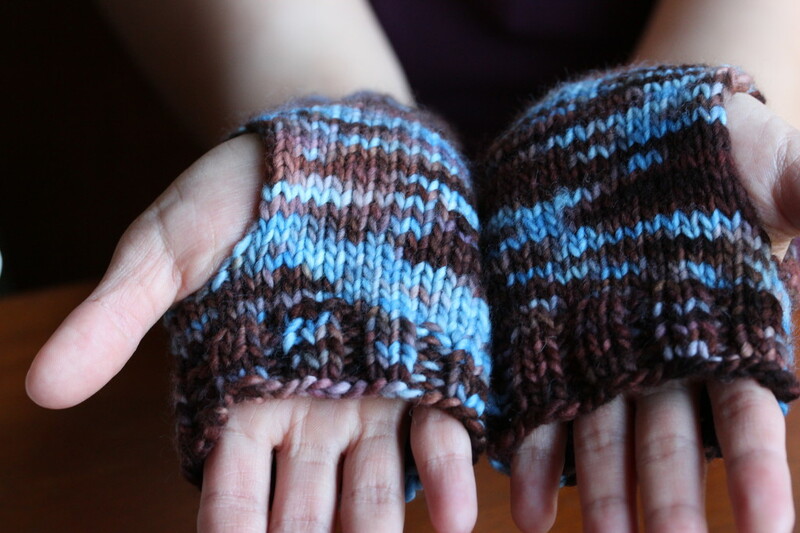 Switch to garter stitch for 3 1/2 inches, or until you’re about .75 inches away from where you’d like your gloves to end. 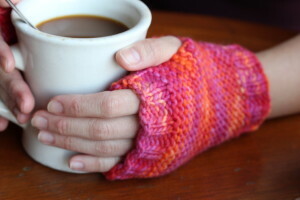 Sew up the sides of the mitts to accommodate your thumb. Weave in the ends. Voila! Cast on 32 stitches on a set of double pointed needles. Join, and knit in K2, P2 ribbing for one and a half inches. Repeat steps 4 & 5 3 more times to increase for a total of 4 stitches. You will now have 36 stitches total. 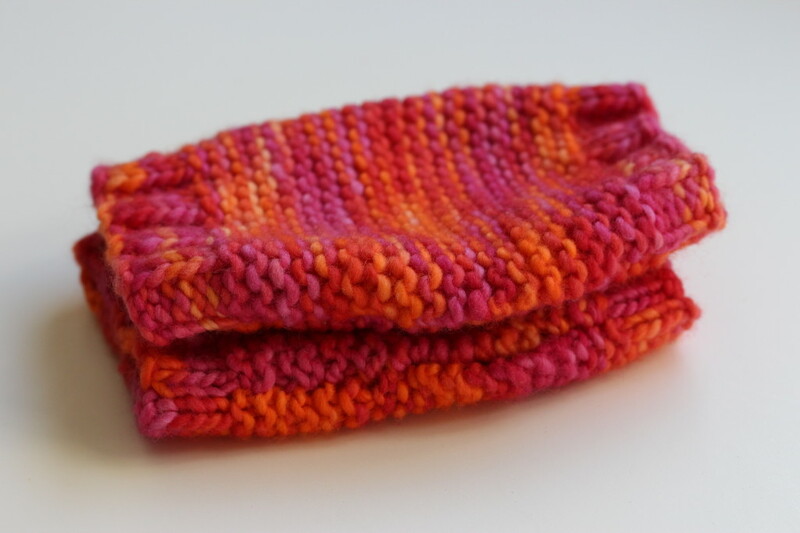 Knit in stockinette until you reach the base of your thumb. Switch to flat knitting for several inches, until you reach the crook of your thumb. Rejoin to knit in the round again. 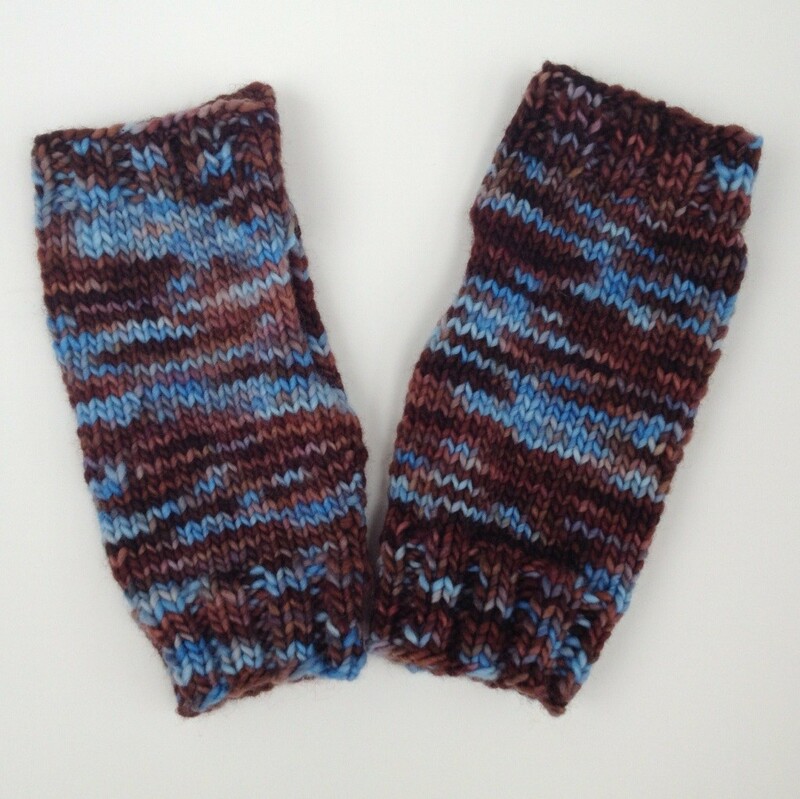 Knit in stockinette until you are about an inch from where you’d like your gloves to end. Knit in K2 P2 ribbing for an inch. Weave in the ends. Wheeee! 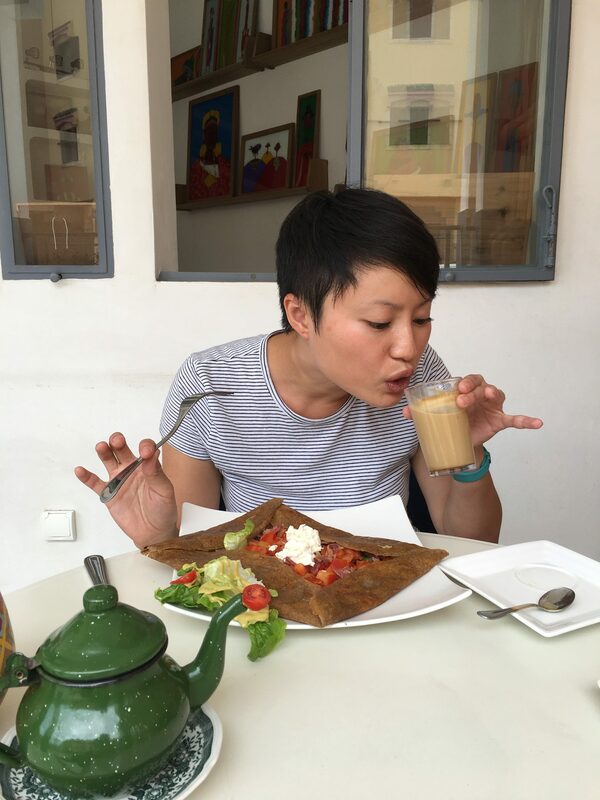 Previous: Frugal February: Week 4, The End!! !